In 2017, Hurricane Irma passed over the island of Barbuda, destroying 90% of its infrastructure. In 2017, when Hurricane Irma, the strongest Atlantic hurricane on record, pummeled the island of Barbuda with 185 mph winds for 37 hours, it didn’t leave much standing. It was a storm so strong that seismometers meant for measuring earthquakes registered it, and it pushed 20-foot storm surges inland. [T]otally demolished. […] I have never seen any such destruction on a per-capita before as I saw when I was in Barbuda this afternoon. 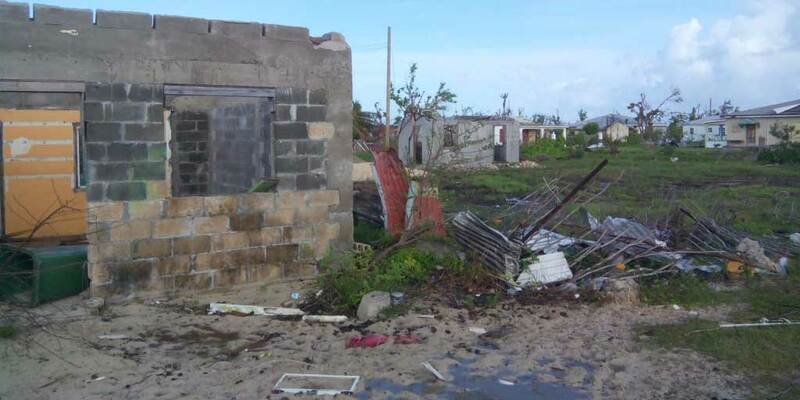 […] Barbuda now is literally rubble. After the storm passed, Hurricane Jose was still threatening, so an evacuation order was given and refugees evacuated to Barbuda’s virtually unscathed sister island, Antigua. The island of Barbuda, which had been inhabited for 300 years, instantly had a population of zero. A few months later, a few people had returned, but these early repatriates seemed to be outnumbered by the dogs, cats, goats, and horses that now roamed the island freely. The island was still facing $250 million of damage, and some questioned whether inhabitants would return. After adjusting to life on Antigua, with their children in school there, many Barbudans found it difficult to make the journey home in the uncertainty of what awaited them. But all were urged to come back to help rebuild, even though the going would be rough for a while, and a trickle of residents began to return. Two months after Irma, a bakery, supermarket, and restaurant had opened, running on generators. Prime Minister Gaston Browne expressed a desire to rebuild homes for resilience, and the Antigua and Barbuda Tourism Authority is stressing tight enforcement of building codes. The World Bank has stressed climate-change resilience in rebuilding the Caribbean to lessen potential devastation from future storms. The Caribbean Desalination Association, which has been active in relief efforts on Dominica, and has developed some new water technology that delivers the much sought-after resilience. Fresh drinking water and pristine beaches are a must for tourism in the Caribbean, where many islands suffer from freshwater shortages and pollution. One way to build in water resilience is through a decentralized strategy that distributes risk by using small desalination plants, like Fluence’s NIROBOX™, at the point of use instead of a large central plant that could take down the whole system if incapacitated. In fact, Fluence has recently contracted with Rav Bahamas Limited to replace its old desalination plant at Resorts World on North Bimini with a Smart Packaged system based on three Nirobox SW units that will supply 800,000 GPD of fresh water to the resort. Barbuda’s beaches are clean now, so excursion operators have started offering day trips again, and the old ferry to Antigua has been replaced with a new, 370-passenger, air-conditioned ferry with three levels, a sun deck, and modern amenities. A large commercial airport is under construction in a deal associated with the proposed $250 million Paradise Found resort funded by Robert Di Niro and James Packer. More than 400 rooftops have been repaired with a $2 million grant from China. Electric and water service have been restored in large part, and the airport and ports are now operational. The nation of Antigua and Barbuda has also signed a $5.8 million agreement with the European Union (EU) for climate-resilient reconstruction of 150 homes, partnering with authorities and institutions such as the National Office for Disaster Services (NODS). This year, a school was reopened on Barbuda, and work has also started on opening another, and lobstermen are taking their boats out again. Maybe the island cannot be exactly as it was, but I hope that to any Barbudan who has returned or wants to return, it will once again be home.